In time for Valentine’s Day 2015, venerable glassware house Lalique will launch an exclusive collector’s edition of their popular L’Amour Lalique fragrance (composed by Nathalie Lorson) in Extrait de Parfum. This limited edition is housed within a beautiful Lalique crystal flacon, inspired by the stained glass windows designed by René Lalique for Japanese emperor, Asaka Yasuhiko. The four windows were created especially for the drawing room in the emperor’s Tokyo palace, and were displayed at the Salon d’Automne in Paris in 1932. 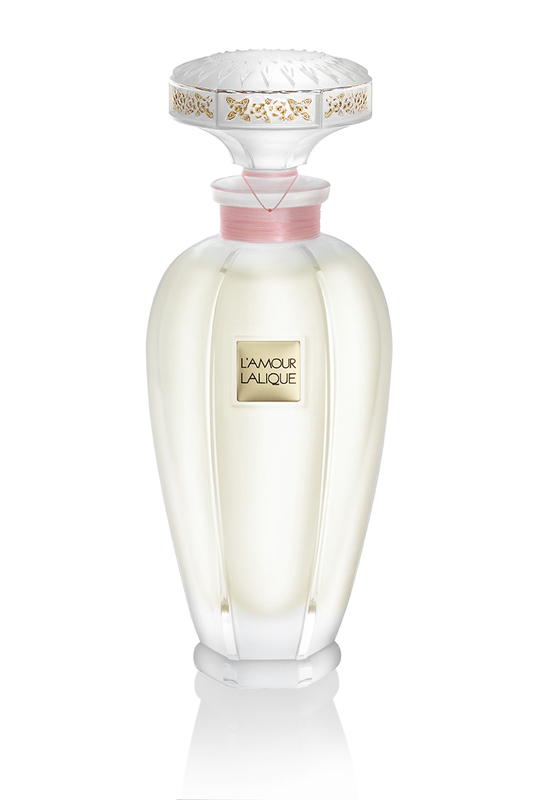 The L’Amour Lalique Crystal Edition will be available from the Lalique boutique on Conduit Street, London and Harrods. It is available in 80ml Extrait de Parfum for £1,100. Posted in Lalique, Smelly News and tagged Crystal, L'Amour Lalique, Lalique, Limited Edition, Smelly News. Bookmark the permalink.